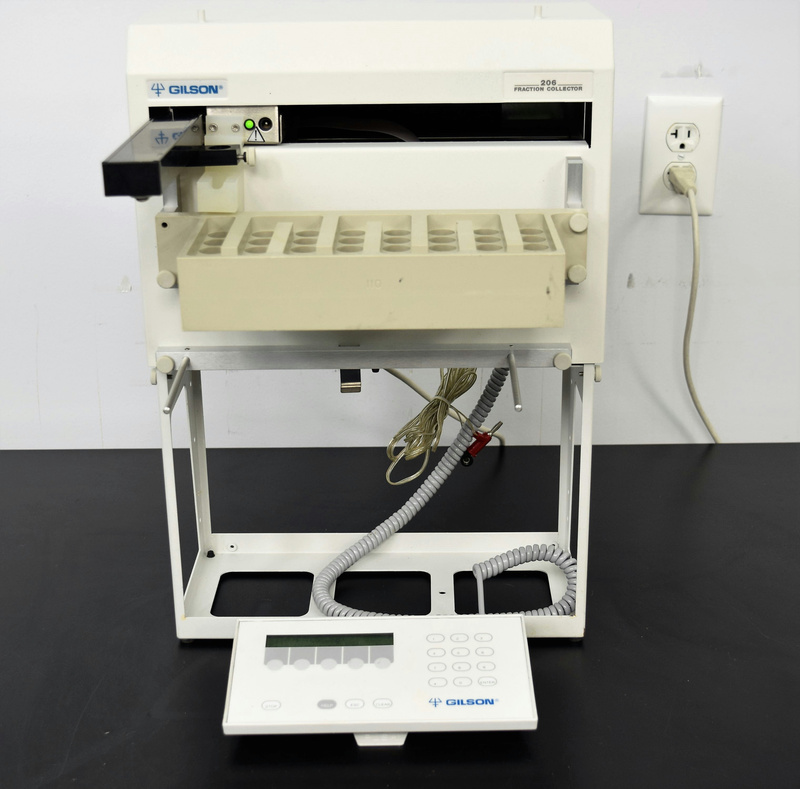 Gilson FC-206 Fraction Collector LC Chromatography w/ Pendant Controller & Rack . New Life Scientific, Inc. This fraction collector is in good condition, but the set-up is an incomplete system. NLS cannot supply the missing parts, but they will be required prior to application. New Life Scientific technicians tested this fraction collector and confirmed it powers on, but no further testing was performed. The technicians noticed the collection head and drip tray are absent. Some parts are missing as listed, but in good working condition.